How can you tell a top-tier city from all those below it? Ask this question: does it have more than 3 decent record stores? Sydney has quality and quantity, but each store has a personality that will appeal to unique segments of the market. Don't forget, all of these stores existed before the "vinyl revival", although JB Hi-Fi introduced vinyl after the 4000th think piece on why vinyl staged a comeback. Now the fun stuff. Their store is also a live venue! Check out events here. They have been pivotal in providing not only entertainment for the locals of Parramatta, but a platform for young, local acts to begin to build a fan base. I know the store is small, but it really does start to jump off with a live band! Their website is great and features dataclips of all their in-stock items. It's even better in-store though, you will never ever feel judged or be spoken down to. Ask them about the Britney Spears album you want on vinyl, I guarantee it will be met with warmth! Who does it appeal to - Alternative music rules here, especially in vinyl. They have an entire wall of it. Their second-hand stuff is actually quite unique, either mainstream acts decades old, or things like the soundtracks to musicals. Their hip hop vinyl selection is limited, but there's a bunch of hip hop CDs. Website: Their entire catalogue is on two separate .xxl files. You must ring them or email to buy a record or CD. Also lists all upcoming gigs that will happen in-store. Record Store Day: Always a special day! I've never made the trek out there on Record Store Day, but I am assuming there will be a few people there, considering it's the only place in the area for it. Newtown is a thriving hub of music, and Egg Records sits atop the tree due to their deeply knowledgeable staff, great selection of vinyl and CD, and their DVD section. There are obscure works to be found on the back wall, but it's the 7" section you'll want to check out, the most extensive in NSW. There's also some nice cheap CDs up the front. The staff are ultra friendly, and can answer most questions without the aid of a computer! Who does it appeal to - Mainly those who hold the 70s and 80s in high regard. A lot of their vinyl was born in this period. The main customers seem to be baby boomers and the generation below rediscovering their love of vinyl and indulging in it. There are hip hop and dance sections, suitably obscure, but not extensive. Website: Doesn't list their catalogue. Gives simple contact info. Record Store Day: I'm not sure if this happens every year, but in 2016 there was about 8 boxes of records, and we all took turns digging through them. There wasn't a list posted with all titles they had gotten in, so it was a bit of a discovery! It's been a while since I made the trek down to the Gong to visit these guys. Their website has come on in leaps and bounds, and they have worked very very hard on their catalogue. Five years ago they had a raft of great alternative LPs, they now have an entire website filled to the brim with brilliant new releases. The prices aren't even offensive, as they can be elsewhere (JB Hi-Fi). What's more, Nick and Jeb are accomplished DJs, who deal exclusively in vinyl. They know an incredible amount about the mechanics of the format and how best to get a great sound out of it. They don't list their 2nd hand LPs on their website, so it's a great excuse for some crate digging! There's also a bunch of shirts for sale too. Who does it appeal to - It's set up perfectly for people who love the typical alternative acts: Bowie, Dylan, Gambino, Spoon, Jamie T, The Avalanches. Hip Hop and Electro isn't their focus. Website: Full catalogue of their new vinyl and CDs, and some shirts. Second-hand items you'll have to go instore! Record Store Day: Absolute party!!! Live performances and all the major RSD releases. 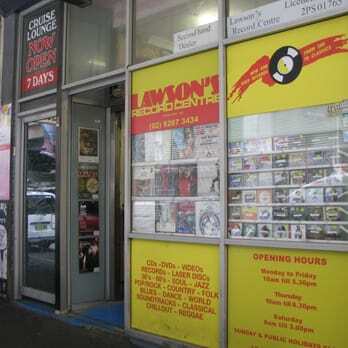 A hole in the wall on Pitt St, this place is the dream retreat for a CD lover. A giant table in the middle of the store, stretching 20 metres, has an extensive range of second-hand CDs. They're all about $5 each and in good condition. The focus is alternative music, notably from 1990 to 2005. The hip hop collection isn't huge, but a lot of dance and electro artists. They also stock a lot of new release CDs, priced $5-$10 less than JB Hi-Fi. Elsewhere, an entire wall is taken up with DVDs at a great price. They have music DVDs, CD singles, second-hand vinyl from the 50s and 60s, cassettes, and a section out the back with $1 CDs. Not the easiest place to find, but so worth it when you do. Who does it appeal to - CD lovers, fans of older vinyl, and movie lovers. Uber cool underground bunker attached to a fully functioning bar. All it needs is a red disco light in the record store to turn it into a true 70s after hours venue. Think of Mojo as purveyors of trendiness. Their collection boasts some gems, including a 10" of Outkast's "Players Ball", Swans' To Be Kind, and even some Kid Cudi. Their prices are incredible though! Think $25 for Boards of Canada, $26 for new releases from Rae Sremmurd and Brian Jonestown Massacre, Alt-J and Four Tet for cheap. Honestly, if you only buy records to impress other people, walk in this store, close your eyes, pick up 3 records, pay for them, and feel yourself instantly become more popular. Who does it appeal to - This is the mainstream of vinyl. Deerhunter, Chelsea Light Moving, Grizzly Bear, Flying Lotus, Band of Horses, they're all artists that look super cool in your home vinyl rack. Very little pop music. There's a lot of mainstream 70s/80s/90s music (Pink Floyd, The Who, The Beatles, David Bowie, Led Zeppelin), and some older jazz, but only the most popular (Miles Davis, Coltrane etc). It's a lovely set up downstairs though, drop by and waste a few hours! Website: Easy to navigate and has all their items listed, searchable, with prices, and purchasable. The Big Three physical music stores were always HMV, Virgin, and Sanity. JB Hi-Fi played the tortoise, and did a Stephen Bradbury as each of the Big Three either shut down operations altogether or, in Sanity's case, stripped stores back to the bare minimum. JB Hi-Fi initially didn't sell a lot of vinyl, but once the Great Revolution of the 2010's happened, they went crazy with the credit card, and bought a huge range of new vinyl. They only stock new records, no second-hand. The range is almost all-encompassing, with alternative, pop, heavy metal, hip hop, dance, and rock all well accounted for. Prices and quality though, that's another issue. The problem with JB seems to be they over-stocked a lot of releases. Some stores I've been going to for 2 or 3 years, and 90% of the vinyl on their racks hasn't been sold yet. They have recently dropped prices and offered some more reasonable deals, but the majority of their range still remains 10-20% more expensive than the competition. And the problem with having those records on the racks so long? They get damaged!! I saw a copy of ShadyXV at The Galleries, and it was in a bad way, but JB were still asking around $90 for it. It sells for half that, in mint condition, on Discogs. Their CD collection is good, but consistent across all their stores. Not many places sell this kind of range though. Again, the prices are a bit silly. $26 for Jay Z's The Black Album. Most albums are in the $20-27 range, which is just too high! They do have some epic sales though, sometimes racks upon racks of CDs under $10. As you probably know, they sell a lot of audio equipment too. They also put out a decent magazine, Stack. Who does it appeal to - Most people looking for CD and vinyl should check out JB. You can spend hours in there, and a paycheck or two. Their alternative CD range is unmatched in NSW. Imported and less mainstream music doesn't usually make its way into the store. If the artist has a record deal though, it's likely you will find them. Website: Very cluttered, but usable. They list new releases on the music homepage, but you can browse, see what is on sale, or search. Everything is available to purchase online, with a tiny shipping fee. They usually ship quickly too. Record Store Day: Doesn't participate. So old school. There's still places in Sydney where you can find that brilliant experience, the wonderment of discovering music without having it crammed down your throat. Phil, the owner, adores music. Any music, just music, he will have a yarn with you, and play requests or offer advice and direction when buying music. I used to go in there and buy old copies of magazines for a couple of bucks, and we had a nice chat about that, about the customers today only intent on the next album release, the next music video, the next single, never going back in time to fill in their musical gaps. Check out the "Off The Record" section of the website for musings on all things music. Who does it appeal to - Music lovers, period. They will clean your records, help you set up your stereo, and offer recommendations if you so desire. You're not going to find a friendlier record store in Australia. Website: Doesn't have an online shop, but is crafted with care. There's a blog, and advice on record grading, and a lot of information. Record Store Day: Participates, but gets limited stock which will run out fast so get in early!!! I think people forget just how accomplished a store HUM is. It presents as a mainstream chain store, something like Sanity, but it's got an incredible range of eclectic albums on vinyl and CD, and a great movie section. Their record rack has been lovingly crafted and added to over the past few years, to the point that I believe Red Eye Records is the only store in NSW with a greater selection. All brand new, most of it is alternative/indie music, mainstream if you class Fleet Foxes or Explosions in the Sky mainstream. Their records are always immaculate as well. The CD section is decent, and they have a huge range of DVDs, with niche (niche in Australia that is) genres like anime and arthouse well represented. Plus, the store is always the perfect temperature! Who does it appeal to - Fans of indie, more specifically 2000 - present. It's also a must-see if you love obscure movies. Website: Very basic, just a short bio and location information. No catalogue. Their Facebook page is better. 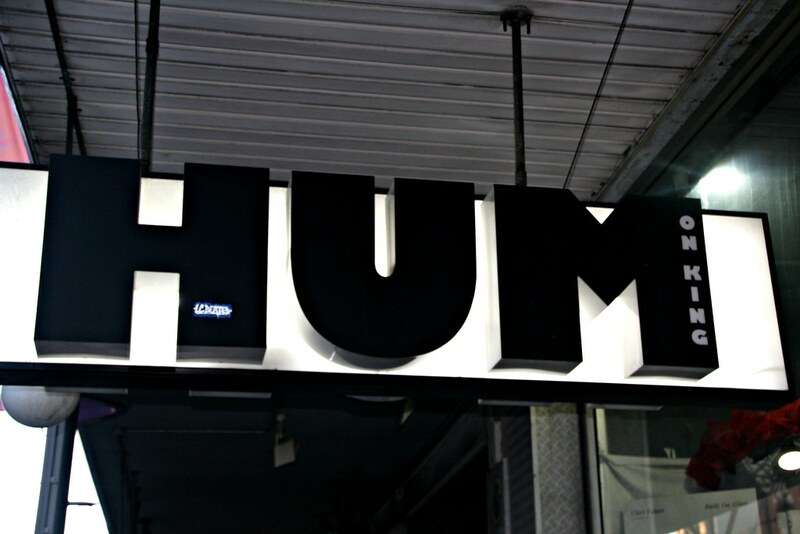 Record Store Day: HUM has become to go-to for RSD releases in the past few years. They seem to get a huge amount of stock in, but people are becoming wise to their brilliance, and I hear queues are becoming larger. There is always 2 or 3 boxes of RSD releases left though, so drop by the next day for a bargain. More of a cafe/bar than a record store. If you come in during the morning expect to get a few odd looks if you're browsing the racks and not sitting down for a coffee (from other patrons, definitely not from staff!). Records are mainly older releases (60s - 90s), with a lot of great Australian stuff on offer. It's such a chill place to come and hang out. Get up, wander over the the wall and find a hidden gem. They also do live shows, and will buy your second hand vinyl. Website: Very good looking, but no catalogue. Birdland is now upstairs in the Dymocks building, and they are the premier location in Sydney for jazz CDs and LPs. A really nice and at times eclectic selection of jazz music, as well as the more well-known rock and pop artists. Website: Has a lot of their catalogue, possibly all of it. Location: Above Dymocks on George St.